Creatine Monohydrate is the most heavily researched and time-tested sports nutrition supplement in the world. Creatine can lead to a gain in lean muscle mass, improve workout performance, and significant enhancement in strength and power. 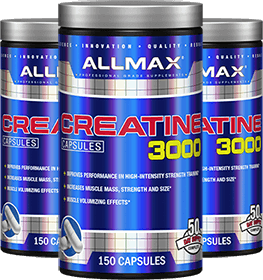 * Now get all the benefits of Creatine Monohydrate in a convenient capsule form! Creatine Monohydrate also offers many benefits, including the prevention of ATP depletion, stimulation of protein synthesis and cell volumization. * Creatine Monohydrate is the undisputed king of Creatine. Over 95% of all research ever conducted used Creatine Monohydrate. Other forms of Creatine have come and gone, all trying to make the claim that they have improved the original Creatine. The truth is that very few, if any, scientific studies are even being attempted to try to prove that they enhance performance in any way. 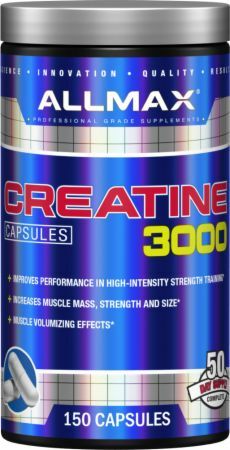 No Creatine 3000 Reviews Found. 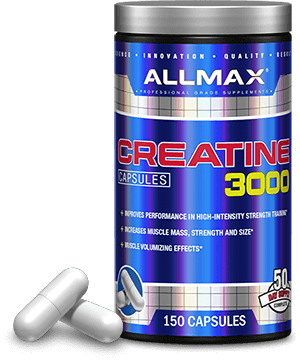 Directions For Creatine 3000: Take 3 capsules with water or juice upon waking and post-workout, or on non-training days, take 3 capsules after a meal.